Established in 1994, Bodog boasts of more than two decades of top-notch gambling services to a constantly increasing audience. The Canadian-based company has undergone a number of critical changes that have transformed into a world leader in the gambling industry. Throughout its evolution, the company has maintained a sharp focus on providing a world class gambling experience to its customers. Their specialty include sports betting, poker and online gambling. Bodog started out as a single entity accepting punters from every corner of the world. Currently, they have different brands that still accept players across the globe, with each of these sets operating under a different license and jurisdictions. The licenses for each of the brands is provided under the umbrella of Bodog Systems although they serve different geographic locations. The original Bodog Systems’ site caters for the Canadian market while Haydock Sports provides gambling services to the Asian market as Bodog88. Haydock Sports has its headquarters in the Philippines where Ian Dunning, the Liverpool native, is the Managing Director. Ian has a vast experience having worked at Victor Chandler and Ladbrokes Bookmakers. The third sub-unit is the Morris Mohawk Gaming Group, which operates in the US market via the Bovada brand. The United Kingdom is served by the Bodog UK brand while Bodog Europe operates in and accepts players from all over Europe including Canada. Patrick Selin is in charge of the United Kingdom and Europe sublets. Selin previously served as Ongame Network’s CEO where he steered the sale of the poker network to the renowned Bwin in 2005. What’s So Special about Bodog Sports? Bodog Sports is particularly good if you are interested in betting the underdog. 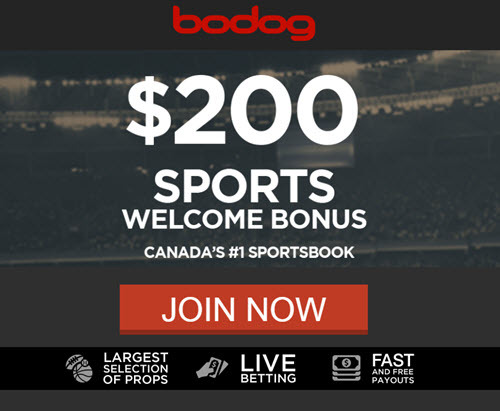 Bodog has shown repeated tendency to favor underdogs whenever they set and update their lines, although they do not offer reduced commissions. This should come as an advantage to gamblers that most often bet the underdog. Besides the favorable odds for the underdog, Bodog also does well in offering unique lines for anytime goal scorer, first goal scorer, most goals in a season or under-over options. Bodog Sports is preferable as an ideal betting site since it offers way better betting odds when compared to other bookmakers when it comes to betting underdogs. As a punter, you stand better chances of finding value in your future markets as well as your regular betting. This gives Bodog Sports a clear competitive advantage over its rivals in the industry as they give consideration to the welfare of the player. With Bodog Sports, you have the liberty to bet on major leagues in Argentina, Brazil, Germany, Turkey, Spain, England, Italy, Mexico and France amongst others. You also have the opportunity of betting on UEFA Champion’s League, World Cup, Europa League and the FA Cup. They also provide you with the opportunity to bet on horse racing, golf, motor sports, UFC Fights, American football, cricket, darts, rugby and snooker. Regardless of the sports on which you prefer to bet, the choice is all yours to make. There are several options of funding your account that is selected during the first deposit. The first deposit at Bodog attracts a $10 bonus, which is also a risk-free bet. This bonus can only be claimed after making the first deposit and placing a bet. In the event that your first bet is a loss, Bodog will give you another $10 as a free bet credit. The bonus amount can be used on any sport that is currently running on the site. Players can fund their accounts using Bitcoin Cash, Bitcoin, debit card or credit card. All the deposit methods allow for instant deposit, which means you get to start playing and betting immediately after funding the account. On the other hand, any deposit made via wire transfer may vary with others taking up to five working days to reflect in your playing account. It is important to note that although the credit card and debit deposit options are instant, it may take up to ten business days for these kind of transactions to reflect on your card statements. The support team is always on standby to give a helping hand on any issue including difficulty in making deposits. You can always reach them on +1-877-263-6422. Bodog Sports is not just renowned as a bookmaker but also as a top-notch and licensed provider of gambling services. All the gambling activities at the site are licensed by Directorate of Offshore Gaming and Antigua and Barbuda Financial Services Regulatory Commission. Customers do not have to worry about the legitimacy of the site when it comes to gambling. There are a few methods available for use when cashing out your winnings from your account. The amount of time that it takes for the withdrawal to mature depends on your location in the world. The methods you can use to place a withdrawal request include Bitcoin Cash, Bitcoin, bank transfer and debit card. It is evident that Bodog Sports offers sports betting and gambling enthusiasts an opportunities to engage in their skills and get rewarded in the processes. They offer many benefits that you will not easily find in the other gambling sites available online. As you set up the account, you will realize that there are numerous options that you could explore when funding your account. As already discussed, majority of these options are instant and this means that you do not have to wait for a longtime before starting to play. The bookmaker also runs a number of bonuses that are meant to help you get the best out of your poker and casino games gambling experience. There are more than 80 games available on the site. You can play as many of these as you can manage. Of course, you can pick one or two to give them a try but you are most assured that you will like what you get. Whether you are looking for sports betting, online casino games such as table games, slots, roulette and others, you have more than enough at your disposal.